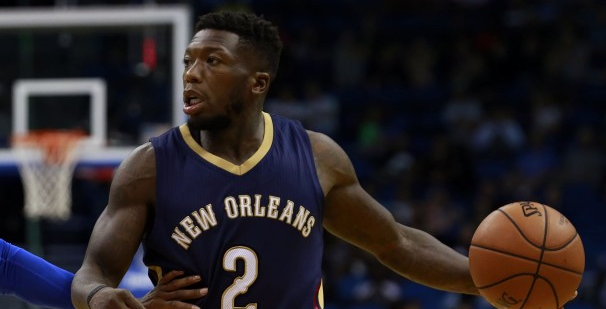 I find it kind of surprising that Nate Robinson has yet to be signed by an NBA team. LeBron James recently spoke of the team needing a backup point guard, which the 32-year-old Robinson could fill. Robinson last played for the New Orleans Pelicans in 2015, but the three-time Slam Dunk champion wonders why the Cavaliers haven't called him yet since inquiring about playing for them recently. “I’m just going to wait and see if other teams want to give me a chance, and if not, I’ll go overseas. Because I know I can help a team. What I bring to the table, I can help a lot of teams in the league. The 5-foot-9 guard says he'll play for anyone. I’d play on any team: Philly, Cleveland, Thunder, even the Warriors need scoring off the bench. I’ll go anywhere, it doesn’t matter."